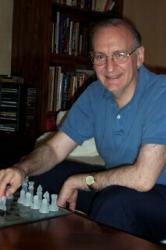 American master Dan Heisman is the author of several books, and a full-time chess instructor. His column is specifically designed to help the Elo 1000-1400 player improve. A new column is posted the third Wednesday of each month. Quote of the Month: Until you are master strength you don't have to know more than about two dozen exact endings.